Airtel FREE 500MB Data and 1GB for 2018 . Although I have not tried it, but a friend who shared this to me confirm that it is working. 9MOBILE 2018 DATA PLANS PRICE AND SUBSCRIPTION CODES - UPDATED. *141*13*200# – which gives you 200MB worth of data. *141*13*100# – which gives you 100MB Bonus. *141*13*50# – you get 50MB offer. *141*13*1# – 1MB free data for you. The above codes when dialled can give you up to 500MB worth of data if you are Lucky as they can be repeated up to at most 2times. Checking all your data balance is now easy on the airtel network, Simply dial *140# and you’ll get a message containing all your available airtel data balance. 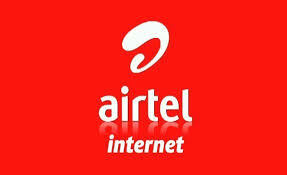 Note that it only works on selected Airtel Sim. Try it let us know if it works using the comment box below.